Plums. Glorious purple, red, maroon juicy plums – delicious as they are but the perfect answer to all manner of puddings, breakfasts, cakes or tarts. It is getting a little late in the season but there are still plenty around so grab them when you can. Stewed plums (a compote if you prefer) with Greek yogurt for breakfast, perhaps with a little granola on top for crunch, little plum tarts quick to make on bought puff pastry, their edges sticky and sweet with plum juice. Or a good old fashioned plum crumble – with custard or thick cold cream – wonderful, and the perfect comfort food now the weather has turned so chilly. It you see them on special offer buy a load and make the easiest jam to see you through the winter, good on toast, good in tarts. Now I think of it I am sure there is some sort of Eastern European plum brandy I haven’t tried making yet…. 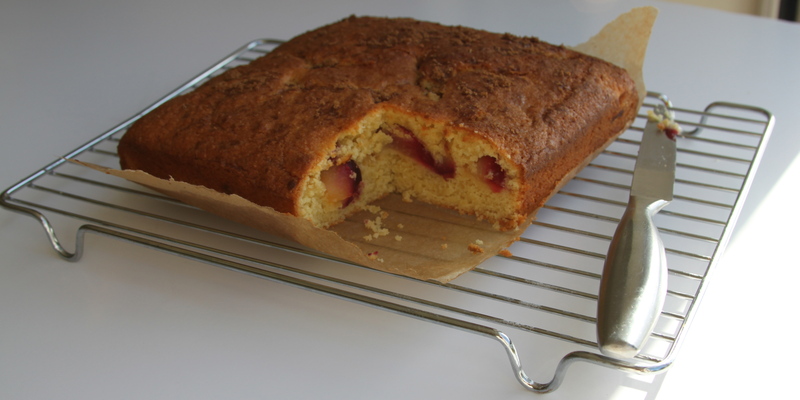 This week we used plums in Patricks’ Plum Cake, so called because my little boy helped me when I was working on this. 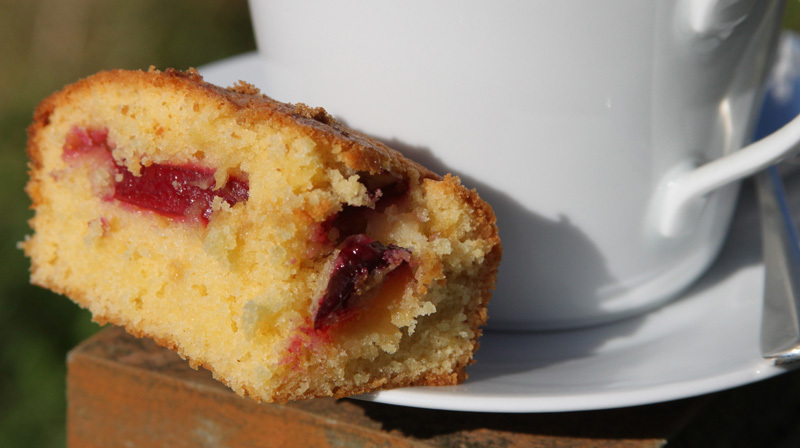 He was inordinately proud of it, quite rightly, it is a delicious autumn variation on my Raspberry and Almond Cake. You can add a little almond extract with the vanilla to beef up the almond flavour or stick with just the vanilla if you prefer. Can’t help thinking it would make a pretty good pudding with some warm custard too. Preheat the oven to 180. Grease and baseline a 20cm square tin. Cream the butter and sugar together for 5 minutes until fluffy and lighter in colour. Add the eggs one at a time with a teaspoon of flour. When they are incorporated fold in the remaining flour, baking powder, almonds, vanilla extract and milk. Put half the mixture in the prepared tin, scatter over the plums in an even layer and top with the remaining mixture. Bake for 35 minutes or until a skewer is removed clean. Leave to cool for 5 minutes in the tin before removing to a cooling rack. Sprinkle with icing sugar if you like before serving. 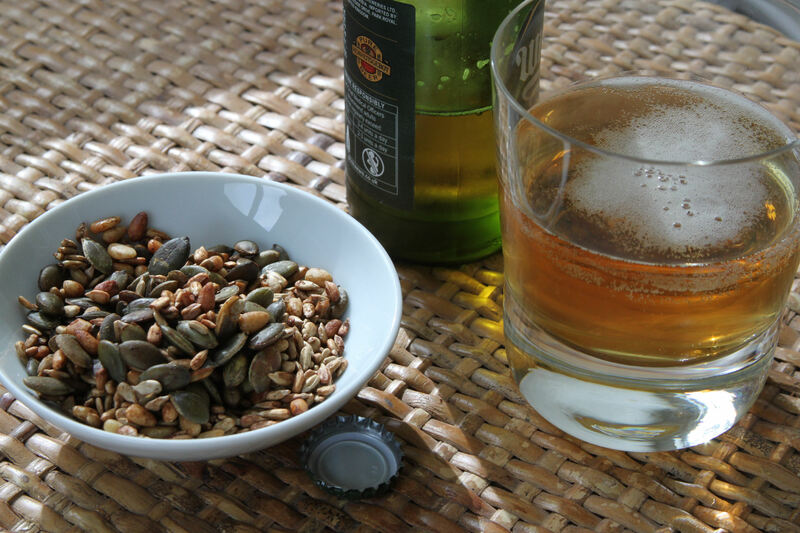 Having a cold glass of something alongside a crunchy salty little number is a proper treat at the end of the day. I do like crisps occasionally but would rather turn to these delicious, moreish toasted seeds. Far better for you, fresh from your oven and what is more customised to taste. If you like them spicy add more Tabasco, prefer them a little restrained then add less. These are also fabulous scattered over a green salad or just in a bowl by the hob for cook to pick at from time to time. Incidentally, if you want to go the whole hog and make them into Bloody Mary seeds then add a sprinkle of celery salt as they come out of the oven. Mix everything together and spread in a single layer on a baking sheet. Bake for 5-6 minutes at 200, leave to cool briefly before digging in. 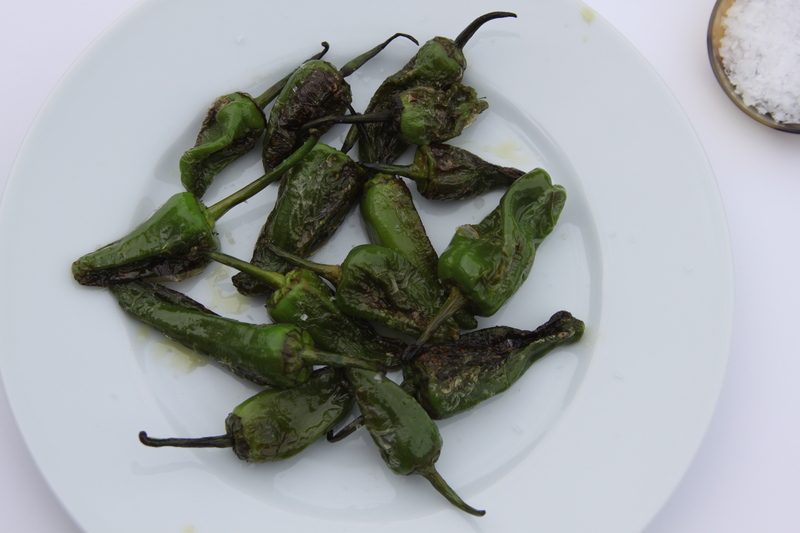 Now, if seeds aren’t quite your thing perhaps Padron peppers will be. These are green peppers the shape of fat little chillies. You fry them in olive oil and once blistered sprinkle with sea salt. They are truly delicious but look out, one in 30 or so is hot hot. We’ve had bags where several are hot and some where none are but no matter they are still delicious. The only tricky thing is tracking them down. I wouldn’t normally suggest an ingredient that is hard to find – consider the irritation of a recipe that requires an unusual cheese from Cornwall when you live in Kuwait – but these are worth the search. Currently available in a Waitrose reasonably close to me but I am urging one closer to stock them, ask your grocer to do the same. If all else fails grow your own, we did last year and they were pretty successful but were all very hot! A couple of years ago I decided I had had enough of cereal for breakfast. It has done me proud over the past 40 odd years but I was bored of it and had to call time. As I am not one to miss out on an opportunity to eat however, alternatives had to be found. Cereal has become such an integral part of weekday breakfast life that it was rather liberating to know I could now have whatever I wanted. There was a proviso, of course, that it had to be quick, delicious and couldn’t be a seriously bad influence on my children who are both quite happily still within their first decade of cereal consumption. We are lucky to have four chickens, Speedy, Swimmer, Essie and Joan Collins who provide us daily with delicious, free range eggs so that was one obvious choice. For me there is little to beat a fresh, boiled egg with brown toast to set me up for the day. On cold mornings we would venture down the porridge route which I can manage for a couple of breakfasts in a row before that palls. Scotch pancakes are a great favourite but something we are more likely to have at the weekend as my daughter enjoys making them for us. Avocado on toast is a winner but there are days that call for less carbs. 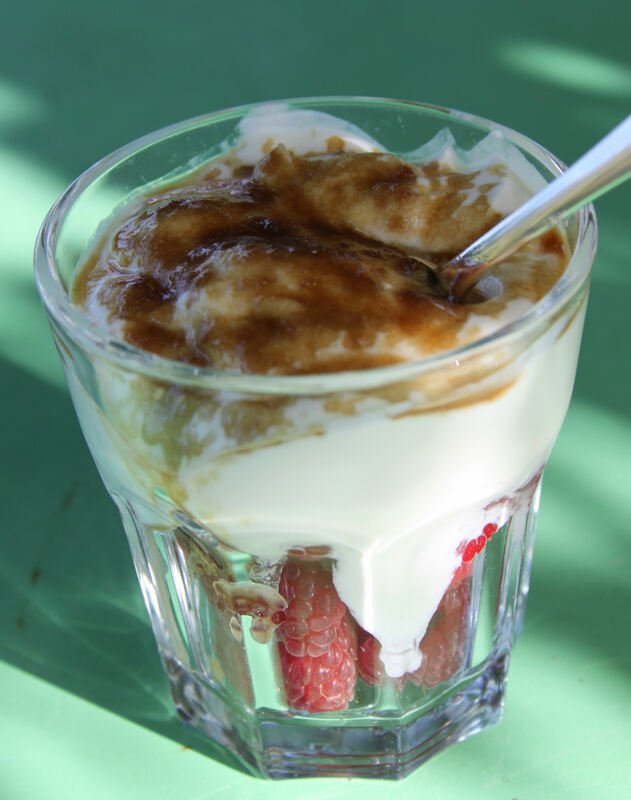 Enter the raspberry surprise – juicy pink berries topped with a dollop of creamy Greek yogurt sprinkled with soft brown or muscavado sugar and left just long enough for the sugar to melt into the yogurt. In winter when raspberries aren’t around we have this with bananas in which case we top it with runny honey. The children often have this too and if they are getting a good helping of fruit and dairy, I can live with the spoonful of sugar or honey on top. As this is something we also have at lunch or tea it feels even more exciting, decadent almost – pudding for breakfast. This is a fabulous, hands-on, napkins required lunch that makes me happy just to think about it. 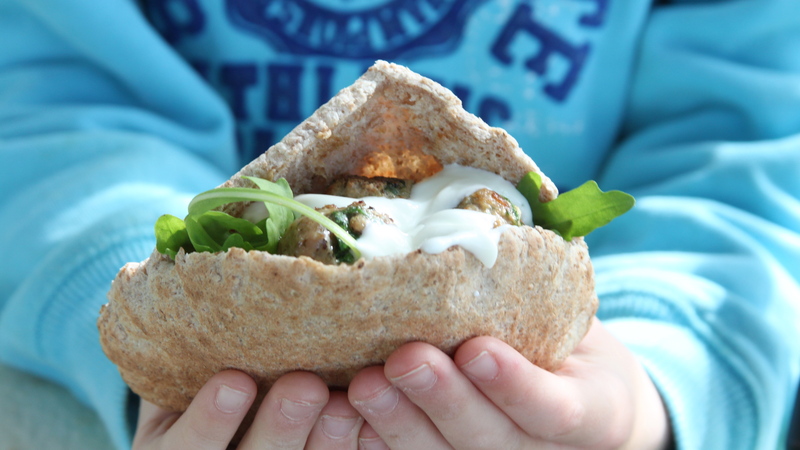 Warm pliable bread, herby and spiced fragrant lamb, cool minty garlicky yogurt all in a spectacularly delicious parcel. I would consider a drop or two of chilli sauce mandatory on this but that is just me…. Mix all the ingredients together thoroughly in a bowl. Roll into small balls, somewhere between the size of a marble and a walnut. Heat a frying pan over a medium heat and cook gently for 10-15 minutes until brown all over and cooked through (break one open to check and then eat it as cooks perk). This will do for 2 adults and 2 children but we always want more. Serve with flatbreads and garlic yogurt. Heaven. Mix all these ingredients together and taste to check for seasoning. 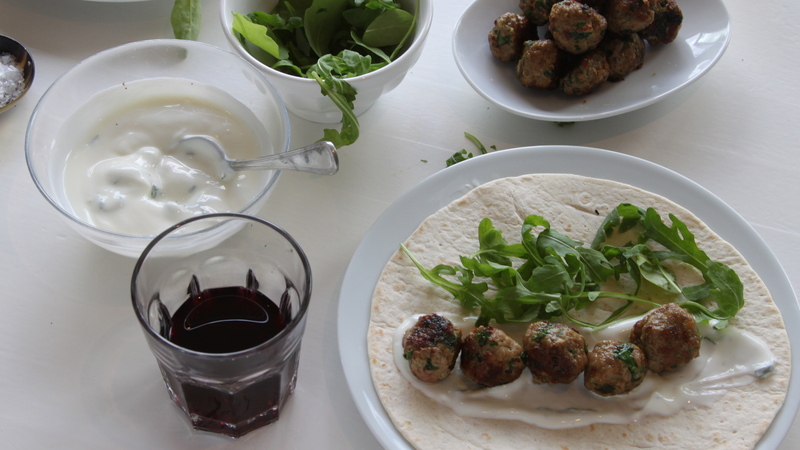 We had this for lunch on Saturday and as I didn’t have time to make flatbreads we had warmed tortillas and pita breads which were fine. I put a bowl of rocket on the table too which went down well. 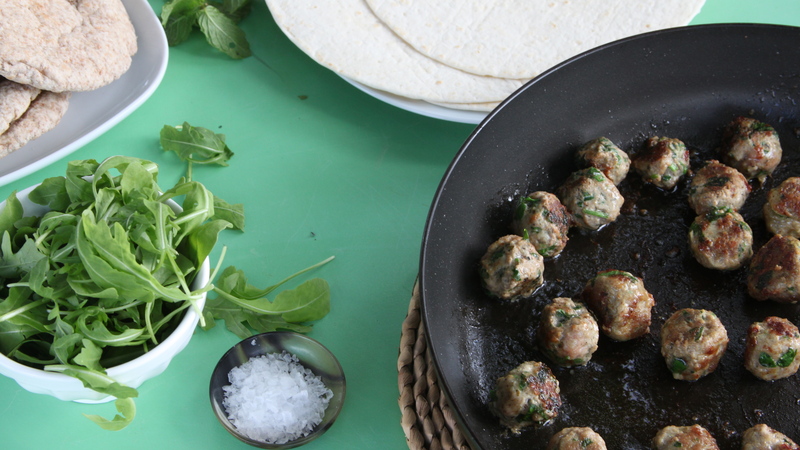 This is also one of my children’s favourite teas and you can easily make the meatballs, eat half and freeze half making it a very easy defrost and chuck in the pan after school number when you are pushed for time. Whilst I don’t believe in “children’s” food per se (why should it be different to grown up food?) there are things I cook specifically for tea for my children. When we have small friends over I make what you might term child friendly food, after all not every six year old loves a curry. This recipe falls under that heading and is an all time favourite in our house. The name came about when my daughter started helping me make it (bash it) – it is also a little more catchy for children than ‘a breaded escalope of chicken’. This is definitely one of their teas when I will hover greedily in case there is any left which there rarely is, so I make it for our supper too. Unbelieveably simple but good. Incidentally when I was young we used to eat this with mayonnaise and redcurrant jelly which may not seem immediately obvious but gosh it is good. Put the flour seasoned with the salt on one plate, the egg in a bowl and the breadcrumbs on another plate in a sort of production line. Slice the chicken, you should get 8-10 slices. Put them flat on a suitable board, cover with clingfilm and bash until flatter and increased in size. Coat the slices first in flour, then egg and then finally the breadcrumbs pressing gently to coat. Heat a tablespoon of oil with a teaspoon of butter in a frying pan over a medium heat, cook the chicken in a couple of batches until golden and crispy, keeping the first bits warm while you do the rest. This serves 2 children but it easily doubled. You can make this ahead of time and keep the uncooked but crumbed chicken in the fridge loosely covered with clingfilm. This is for those times when you’ve had a chicken and then had the energy or foresight to make stock out of the carcass. I know I should every time but I admit I don’t always…. When I do I often use part or all of it for this soup. It has the most pure and nurturing taste and with the addition of a little finely chopped cavolo nero, or similar, makes a lunch which seems to contain such health giving properties that is should be on prescription. A tricky one to break down into amounts and ingredients. In truth this is just the reduced stock – use the amount you need for a couple of bowls of soup – to which you’ve added a few leaves of finely shredded cavolo nero and allowed it to cook briefly in the hot liquid until tender. I can’t say that a splash of dry sherry wouldn’t finish this off a treat. 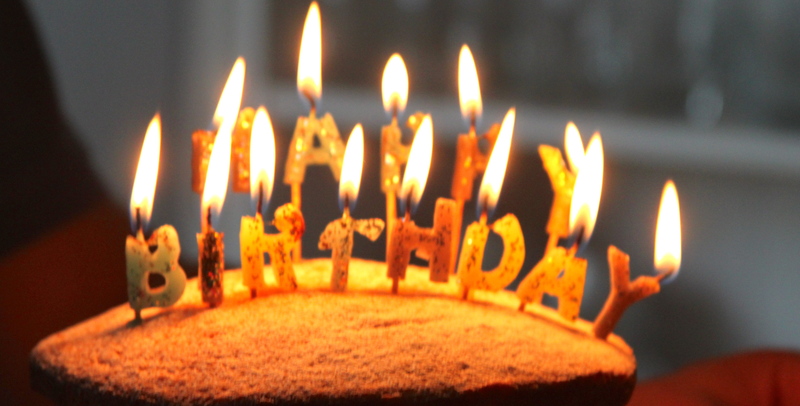 The birthday cake – a perfect place to start baking. This cake was such an act of love – both the planning and the execution. My little boy making the mixture, adding a bit extra vanilla extract (which he so loves) carefully turning the mixer on and off, cracking the eggs and putting in the flour. On and off again and finally once the mix was in the oven, sitting on the table licking the spatula and what was left to be scavenged from the bowl. My daughter elaborately setting the scene – keeping Daddy out of the room, arranging the candles, perfectly spelled out, orchestrating the presentation and leading the sing song. 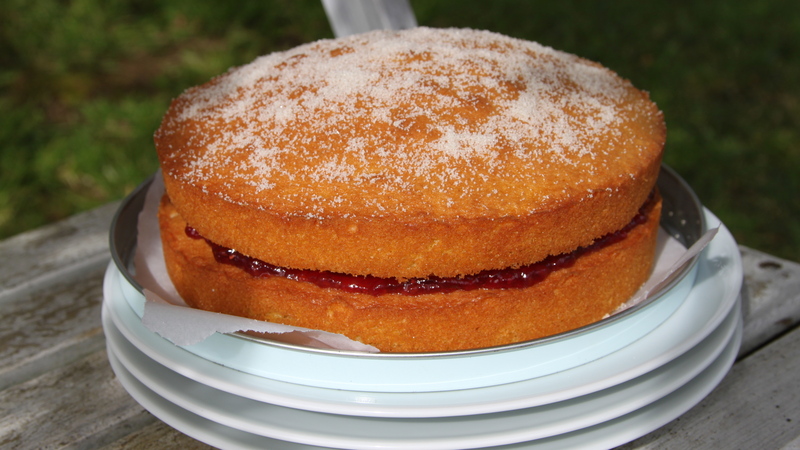 There are as many recipes for a Victoria Sponge as there are days in the year but the following is so straightforward and a particularly good way to teach children. Their pride in the finished article will more than compensate for the mess. Take three eggs and weigh them, make a note of the weight and then measure out the same of soft butter, caster sugar and self raising flour. Cream the butter and sugar for a good 5 minutes until light in colour and texture. Add the eggs one at a time with a spoonful of flour to stop it curdling, sift in the remaining flour with half a teaspoon of baking powder. Stir in 2-3 tablespoons of milk until the mixture will drop off a spoon. Divide between two 18cm greased and base lined tins and bake at 170 for 25 minutes. If you only have 20cm tins make it a 4 egg mix. The top cake is the birthday special but it would look like the one above if not in a darkened room lit only by candles. Thinking of easy delicious suppers for every night can be exhausting. Inevitably I think we all resort to the old favourites which we can shop for and cook without too much stress. Sometimes though just a little variation can be the proverbial zip to spice up life. These chicken thighs with harissa are a case in point and ridiculously easy, it is barely a recipe in fact but regardless I share it here. Crisp skinned chicken sliding off the bone in a spicy red jacket with crunchy greens to give verdant vigour! 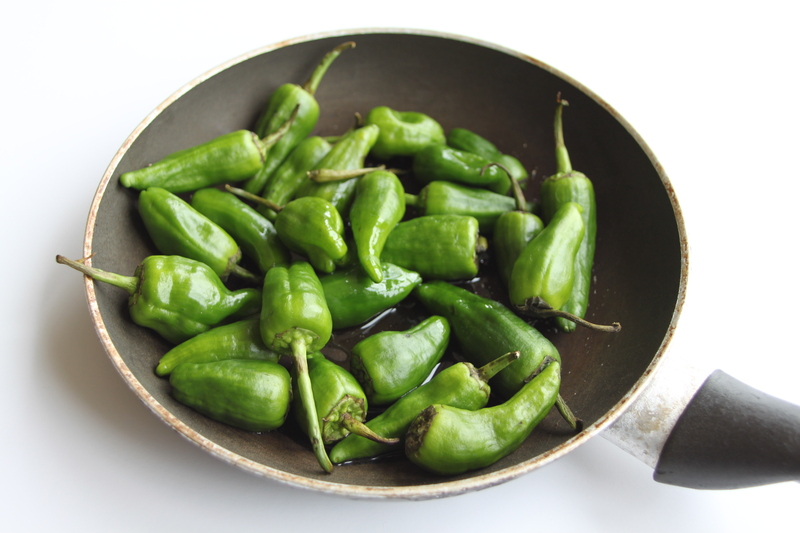 Slice the pepper and mix it with the oil in a roasting dish. Put half a teaspoon of harissa under the skin of each thigh and squidge a bit to spread. Put the chicken in with the peppers and roast at 190 for 30 minutes. Towards the end of this cooking time blanch the broccoli in boiling water for 1 minute and drain. Remove the chicken from the oven, stir in the last teaspoon of harissa and then fit the broccoli in and around the chicken. Return to the oven for 10 minutes. Season and serve, small waxy potatoes would be perfect here. If you like things a little saucier, add a glug of white wine with the final teaspoon of harissa.